The new Suzuki Vitara Estate is a recognised name that boasts a strong reputation. For families who need a car that’s spacious, sharply designed and has a hint of sportiness to it, it’s always been a solid choice. In 2017, its driving dynamics have been given an overhaul so that it’s now one of the best cars to drive in its sector, too. It’s easy to park, comes stuffed with lots of standard kit – but the diesel engine is a fair old noisy one. 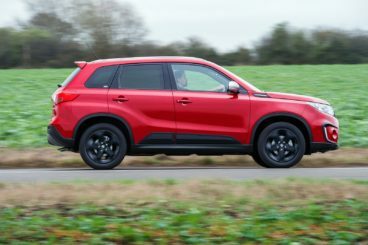 OSV takes a closer look at what it’s all about with our 2017 Suzuki Vitara Estate review. There aren’t a lot of engines to choose from, but the small selection that are available are all good shouts. There is even less to choose from when it comes to transmissions. While a 6-speed automatic is offered, it pales in comparison to the cost-effective 5-speed manual ‘box that’s smoother and more responsive. Four-wheel-drive is available, and it offers four transmission settings, Auto, Sport, Snow and Lock. Auto is the one to select when you want to save on fuel, as it reverts the car back to two-wheel-drive. The Snow mode, meanwhile, does what it says on the tin, and helps you out in tougher conditions. That said, the Vitara is no off-roader. In the towns and cities, the car is easy to drive, thanks to light steering. However, there is no getting away from the fact that this is a heavy car and won’t feel as agile or as nippy as the Suzuki Swift. In terms of the petrols, it’s a tad surprising that the 1.6-litre petrol engine does without turbochargers. As such, it delivers just 118bhp, which isn’t really enough for a car like this on a full load. On the motorway, it might run out of puff. It is, however, mostly quiet. The 1.4-litre petrol engine does benefit from turbochargers. It delivers up to 138bhp, and can do 0-62 in 10.2 seconds before maxing out at 124mph. It’s lively, responsive and comes with four-wheel drive as standard. Rounding off the range is a noisy 1.6-litre turbocharged diesel engine that has a 0-62 time of 11.5 seconds. It feels faster than its petrol equivalent, and it doesn’t need to be worked as hard to get the best out of it. At wide speeds, it delivers a punch and responds well to the merest of touches on the accelerator. The Suzuki Vitara’s interior is easy to like if you don’t mind a few cheap plastics here and there. It’s definitely comfortable and ride quality is good. Insulation is decent, but diesel clatter will enter the cabin on the motorway. The vibrations aren’t too bad, though. The smallest petrol engine is also a bit of a nuisance at high speeds. It gets noisy, and it has an impact on ride quality. Colour-wise, the Vitara could have done with being a bit less sombre. If you want to break up the greys, you’ll need to opt for the S model, which comes with red stitching on the steering wheel and seats. 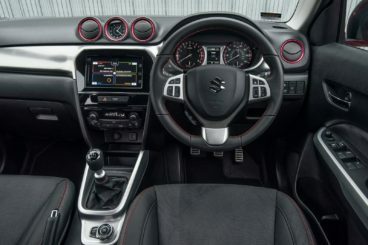 The dashboard is well put together, and Suzuki has made good use of soft-touch plastics. So it’s a shame that they couldn’t stretch their budget a bit further so that there would have been no need for scratchier surfaces. As it is, even if you splash out on a £20,000 Vitara Estate, you’ll have to put up with them. The layout is fine, with everything logically arranged. The 7” touchscreen is clear and easy to use, while MirrorLink is included. In terms of how practical the car is, the Vitara is a winner. Lightweight doors make for super easy access, the raised riding height ensures that visibility is good, while the steering wheel adjusts for rake and reach on all models. Headroom is good for all, but rear legroom is a bit tighter. Storage spaces are let down a tad by a small glovebox, but the front passenger seat comes with a pocket on its back. The boot, meanwhile, measures 375-litres. This extends to 1,160 if you fold the rear seats, which is par for the course in this market. It gets a wide opening, boasts a useful square shape and comes with a removable false floor. There are four trim levels to choose from, and standard kit is good for all of them. The entry-level model gets 16” alloys, a USB port, Bluetooth, automatic air conditioning, cruise control, a DAB radio and a CD player. The SZ-T model adds larger alloys, sat-nav and rear privacy glass, while the SZ5 trim gets gearshift paddles, adaptive cruise control, parking sensors, and keyless entry and start. The S model rounds the range off with gloss black alloys, red stitching in the cabin and LED headlights. Is the Suzuki Vitara Estate safe? It scored a perfect five when crash tested by Euro NCAP, while its standard safety kit for all models includes cruise control, electronic stability control, 7 airbags, ISOFIX child seat mount points and automatic braking. Prices for the new car start out from £15,499 and rise to £25,399. If you prefer to lease, you can pick up a deal from £172 + VAT per month. For more information on our leasing deals, check out our page here. In terms of its running costs, the Suzuki Vitara Estate is helped massively by its lightweight structure. The turbocharged diesel engine might be a hoarse old thing, but it’s able to return over the 70mpg economy, which in this class is super impressive. It also emits just 106g/km of CO2. The 1.4-litre turbocharged petrol engine is equally impressive, returning 52.3mpg and emitting 127g/km. Naturally, whichever model you choose, fuel economy will depend on whether you stick to two-wheel-drive or add 4WD. All models, however, cost £140 a year in tax. The Vitara looks like a neat, modern family car. Four-wheel-drive and 0-62 times of 10.2 seconds ensure the engines are lively and easy to drive. It’s comfortable, relatively quiet and well-equipped. There will be predictable diesel clatter, but even the petrol makes a lot of noise at high speeds. We don’t think they’ll be a deal breaker, but the appearance of low rent plastics in the cabin take its sense of occasion down a peg. Let’s see how the car fares against its rivals in the comparison section of our 2017 Suzuki Vitara Estate review. The new Citroen C4 Cactus is one of the most distinctive cars on the road right now. Its funky design won’t be for everyone, but it’s backed up by low running costs and a comfy ride. It certainly looks unconventional, but buyers will be pleased to hear that it toes the line on the road. It’s easy to drive, with Citroen putting the focus on comfort and relaxation. It’s good fun when you want it to be, but more importantly its lightweight structure and steering make it a cinch to get out and about in the town. In terms of the engines, the PureTech 110 is OSV’s top pick. It doesn’t have to be worked too hard, is relatively quiet, and can get you from a standstill to 62mph in 9.3 seconds if you stick to the manual ‘box. Opt for the automatic, and that time is cut back a little to 9.7 seconds. The BlueHDi 100 diesel shouldn’t be discounted. It’s second only to the PureTech 110 in terms of straight-line speed, completing the 0-62 dash in 10.6 seconds. Its USP, however, is its running costs, with Citroen claiming that it can return over 90mpg. It’ll still cost £140 a year in road tax, which is what you’ll be paying if you go for the cheapest petrol engine, a 1.2-litre PureTech engine that develops 81bhp and returns 65.7mpg. Our top pick, the PureTech 110, returns the same figures but will be more expensive to ensure. The PureTech 82 sits in insurance group 7, while the BlueHDi diesel occupies group 19. Inside, it’s hard not to fall in love with the Citroen C4 Cactus’ cabin. It’s comfortable, quiet, simply and tastefully designed – and thankfully nowhere near as brash as its exterior might have led us all to believe. That said, you can choose from an array of colours for the dashboard, including yellow, which could turn your Cactus into a bit of a novelty. There is always that danger. Apart from that, standard kit is good, with all models getting a digital radio, electric windows and a 7” display. The only disappointment is that there is evidence of harder, cheaper plastics. In terms of how practical it is, the Citroen can’t be beaten. Its front seat are like armchairs, while its 358-litre boot will be more than enough for most buyers. It extends to 1,170-litres when you fold the rear seats, but the seats can’t split 60:40. 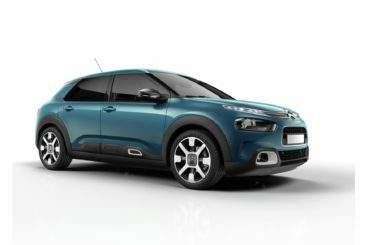 There are a few key features missing, such as a reach-adjustable steering wheel, but the sheer amount of room in the back and the amount of storage spaces ensures the Citroen C4 Cactus gets our thumbs up. 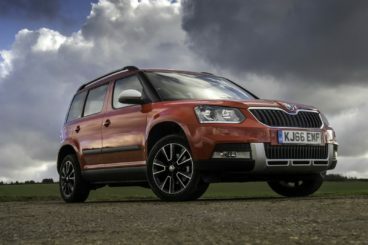 The new Skoda Yeti is appropriately named; it might not quite be the outdoor beast that one would hope, but it’s large, practical and makes you feel safe and secure. Just as are all yeti’s should, no? On the road, the car defies its size and is actually quite fun to drive. Precise steering, a smooth gearbox and well-positioned controls mean that you can take it to the towns and cities without any hassle. In terms of its engines, there is plenty of grunt available. The 1.2-litre 108bhp petrol unit is the smallest, but it packs a modest punch that will be good enough for most of you. Push it hard and it does bark, but it copes well on the motorway. However, the 2.0-litre diesel engines have more pulling power. There are two of them, with the smaller of the two developing 109bhp and the larger one developing 148bhp. Both are more-than adequate, but the 148bhp, when fitted with four-wheel-drive, is positively awesome. If you need to lug a caravan up and down Britain on windy days, it’s ideal. It’s a bit costlier at the pumps, and returns 55.4mpg at best. But we think that’s reasonable when you consider how strong the engine is. Stick to two-wheel-drive, and it’s a bit cheaper to run, returning over 60mpg. A 1.4-litre petrol, on the other hand, is very much the niche choice, returning as it does 44.8mpg at best. Inside, the Skoda Yeti Hatchback is spacious, comfortable and useful. The quality of the materials is good, and importantly they look as though they will stand the test of time. The dashboard is slick, neat and tidy, and gets its design cues from the Volkswagen Passat – which is a good name to be dropping. Is the Skoda Yeti Hatchback practical? Its 416-litre boot is the biggest in this review by some distance. Although you won’t need all that space all the time, it comes in handy when you do need it. Leg and headroom are fine, there is room for four adults, and while a fifth can squeeze in, the central transmission tunnel is problematic. The glovebox is a decent size, hanging hooks will prove useful, and the car makes for an excellent tower if you add four-wheel drive. Once a rugged workhorse, the Vitara has been repackaged as a slick helping hand for the modern family. It’s well-equipped, stylish and comfortable. There isn’t much that lets it down, but low rent plastics and noisy engines will have buyers who want something more upmarket looking elsewhere. For everyone else, the new Suzuki Vitara Estate represents good value for money.